Ambrogio used to cook for the whole family during Sunday lunches and special occasions. 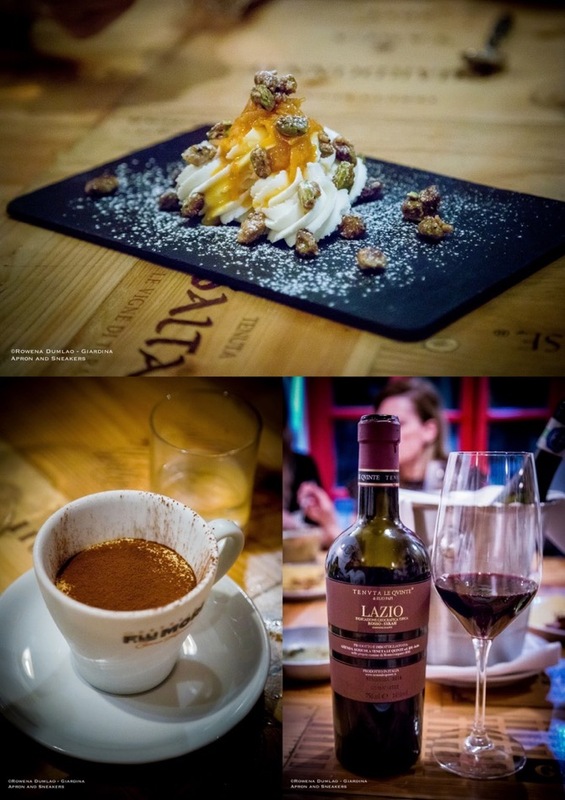 At the age of retirement, he decided to embark on a new adventure by putting up the Novecento in Via dei Conciatori 10 with the support of his wife and sons. 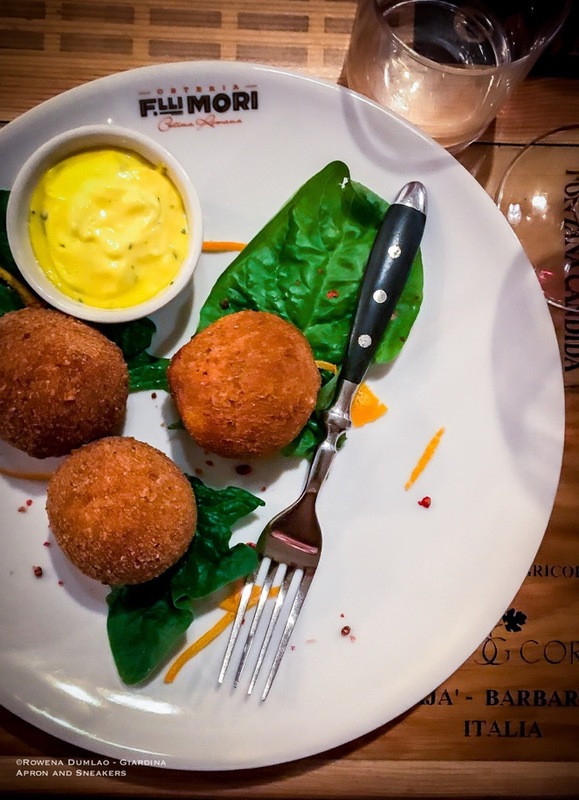 The predilection for typical Roman cuisine emerged immediately. 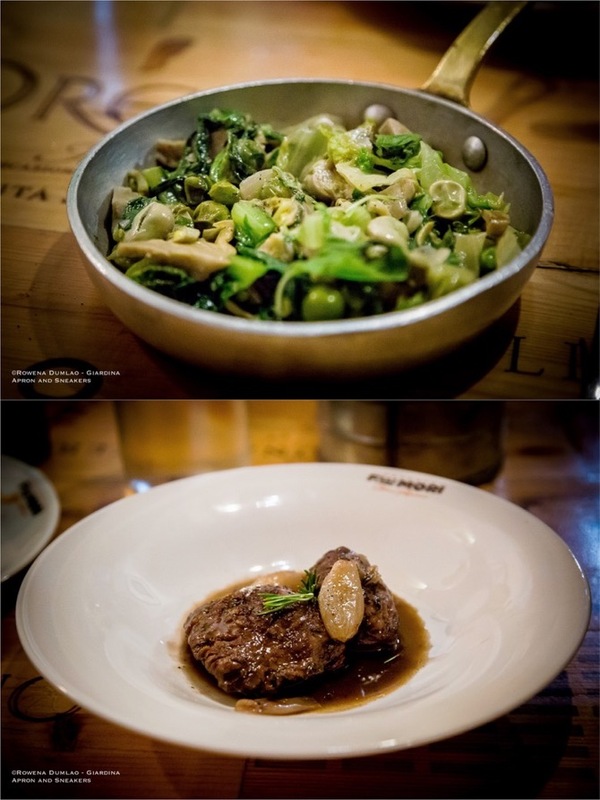 The traditional dishes have always been absolute protagonists on the table of the Mori kitchen and naturally they also became the specialty of the restaurant. "The change of the name is the end of a journey that we took fifteen years ago. We started not being so known and we did not have a precise identity but over time we gained experience and knowledge. 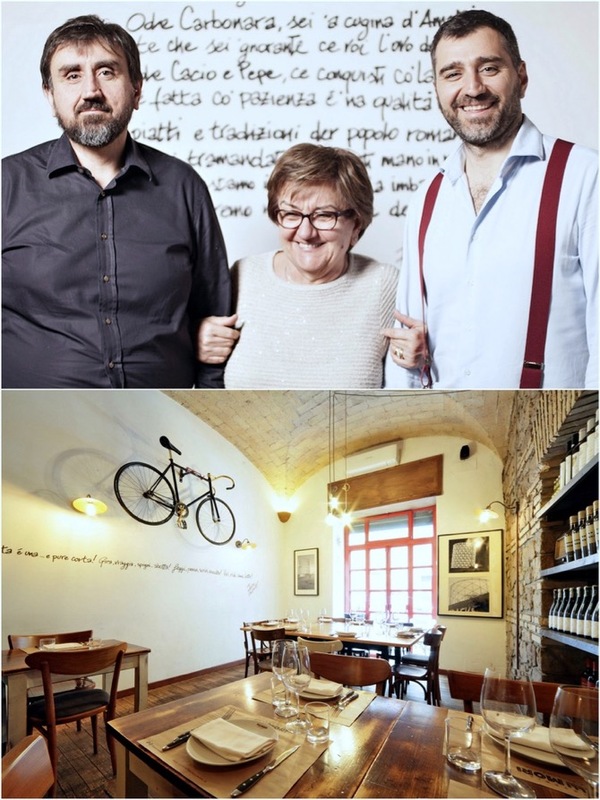 This place fully represents me and my brother Francesco, and so we decided to call it Osteria Fratelli Mori, also in homage to our father who has not been here for a few years," says Alessandro, the firstborn of the Mori family (translated to English from original text in Italian). "I do not like too much formality, I prefer to make the customer feel at ease. Now with some of them we almost have a familiar relationship. So many people come here for me and my brother," explains Francesco (translated to English from original text in Italian). 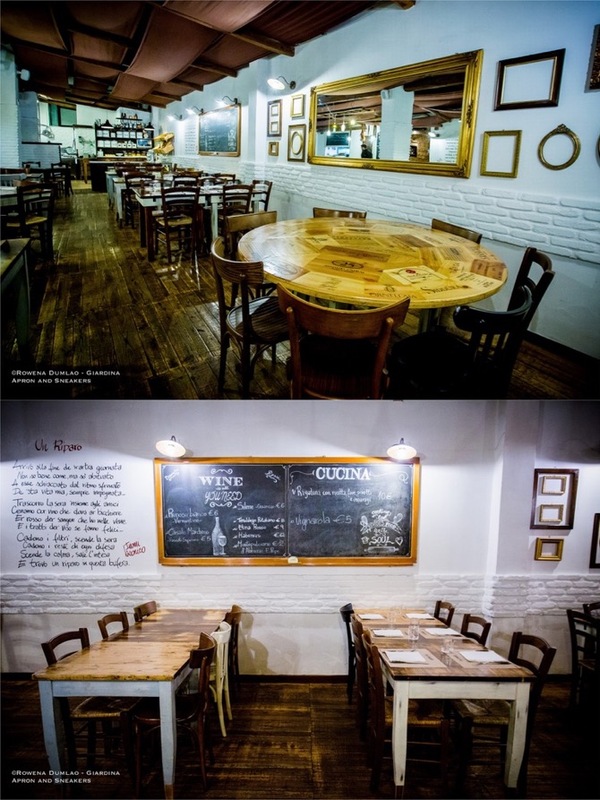 Osteria Fratelli Mori is situated in a large space of 400 square meters wherein 120 can be accommodated. 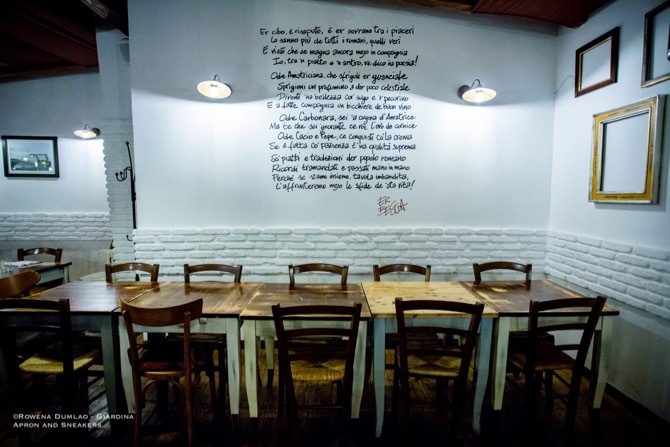 Being lovers of literature and Roman poetry, they have given the restaurant a clear imprint that highlighted their philosophy. 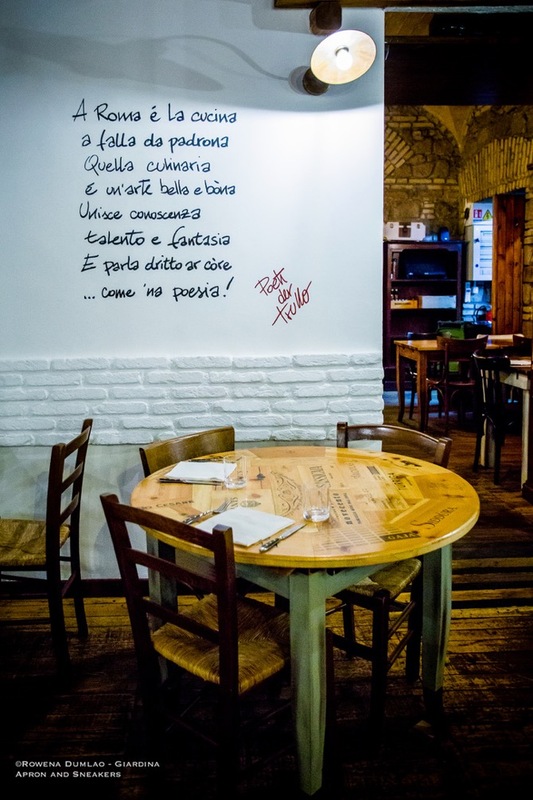 Thus Poeti Der Trullo, a young and celebrated group of Roman street poets, which recounts the reality of everyday life in their metroromantic lines has conceived, written and painted on the white walls of Osteria Fratelli Mori, mostly unpublished poems that tell a key story ‘MetroRomantica’, the atmosphere and the culinary approach. 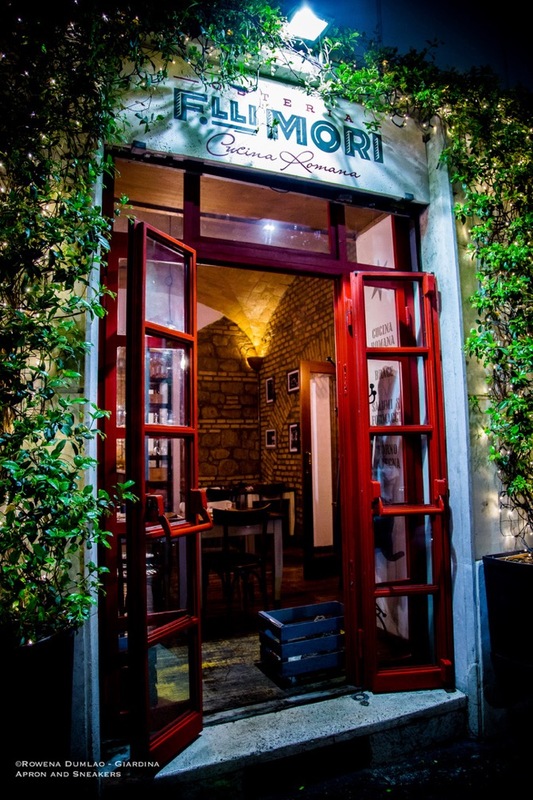 The Mori brothers celebrate the Roman cuisine in their restaurant which has strong ties to the tradition and memories of their family. 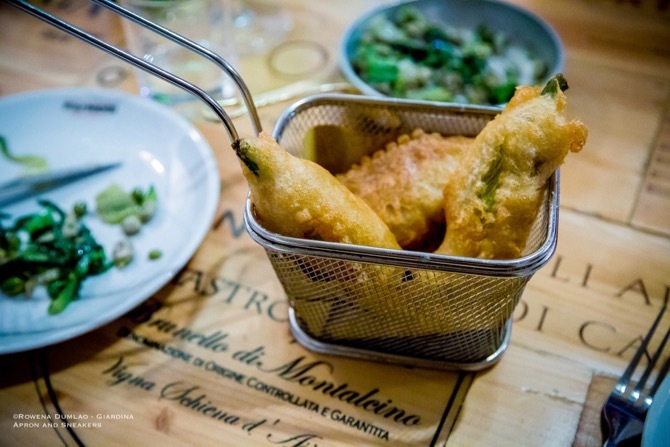 They use raw materials that mainly come from the Testaccio Market and from trusted suppliers such as Dol and Guffanti for the cheeses, the Pastificio Gatti for the fresh pasta, Giraldo for the salted cod and Gustarosso for the tomatoes. 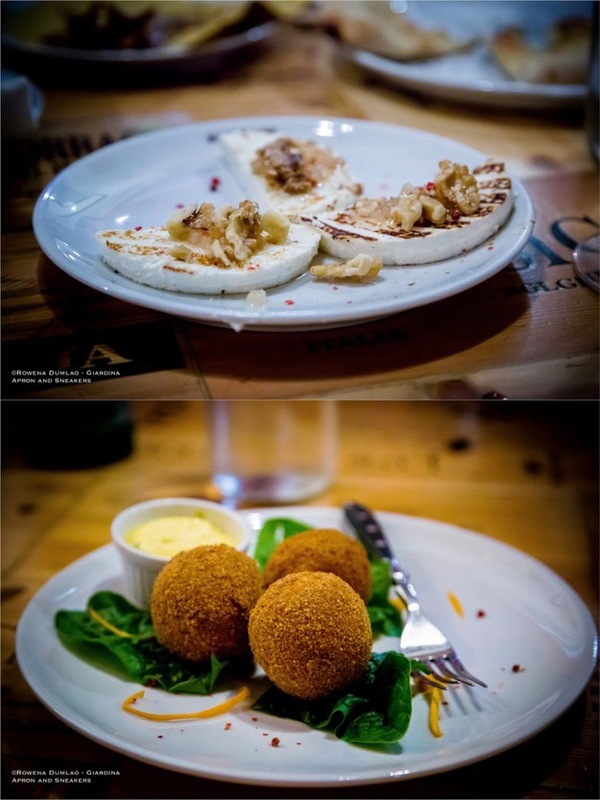 Among the popular antipasto entries are the classic Fried Pumpkin Flower (€3), Cacio e Pepe Potatoes (€3) and the Roasted Ricotta with Sautèed Pears, Honey & Almonds (€7). 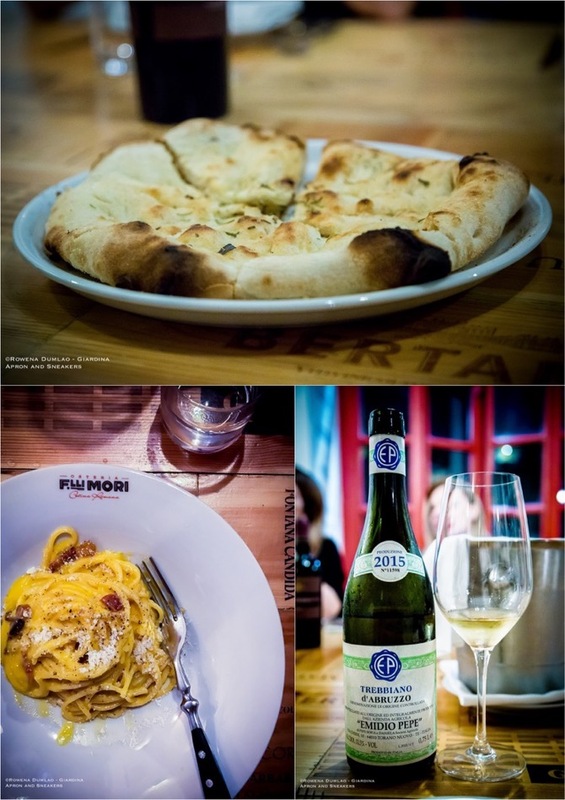 The pasta dishes remain in the traditional Roman recipes of Amatriciana, Carbonara, Cacio e Pepe and Oxtail Tomato Sauce which range between €9 to €10. 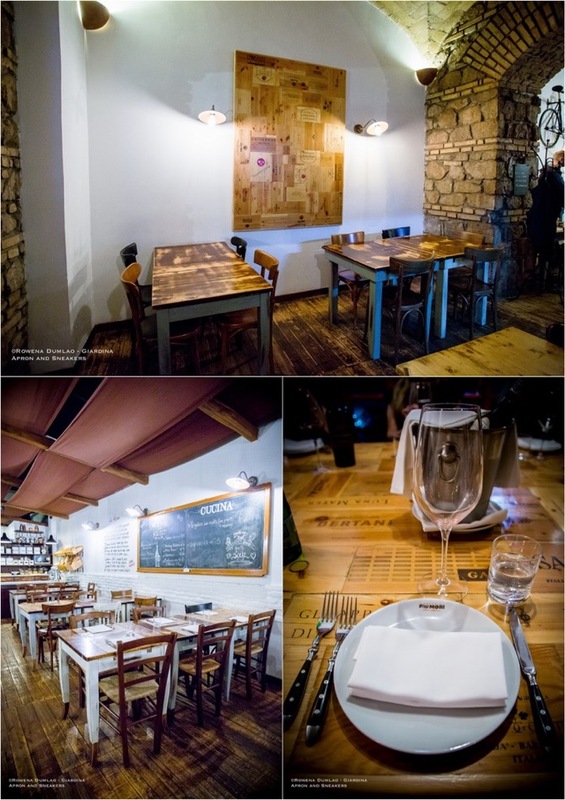 The main courses include the Boiled Meatballs (€15), Pork Cheek cooked with red wine and shallot at low temperature (€16) or Grilled Scottona Beef Steak €18). 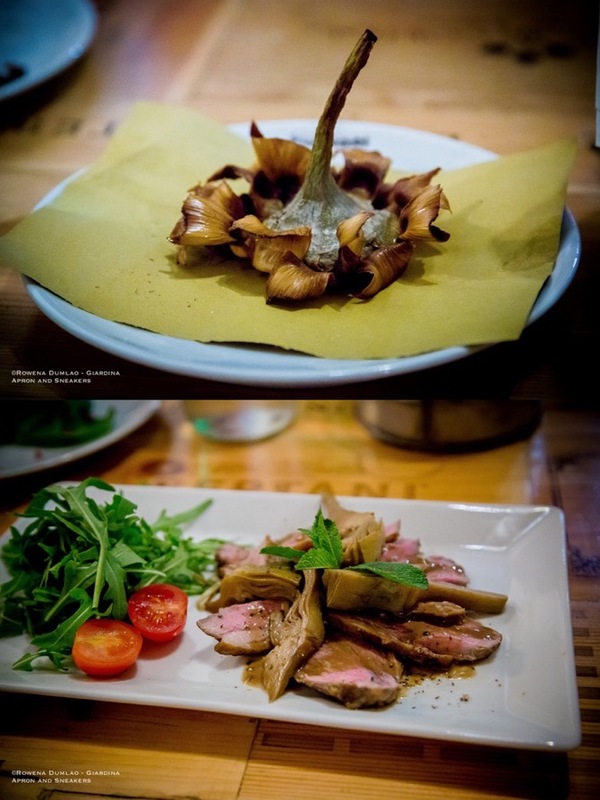 The main courses are best accompanied by Roman vegetable dishes such as the Carciofi alla Giudìa (Jewish-Style Artichokes) or Carciofi alla Romana (Roman-Style Artichokes) at €5 when in season. The dessert entries are as interesting as the other courses. Don’t forget to try the Ricotta of Ambrogio which is made with buffalo ricotta cheese, candied orange rind and caramelized pistachios. 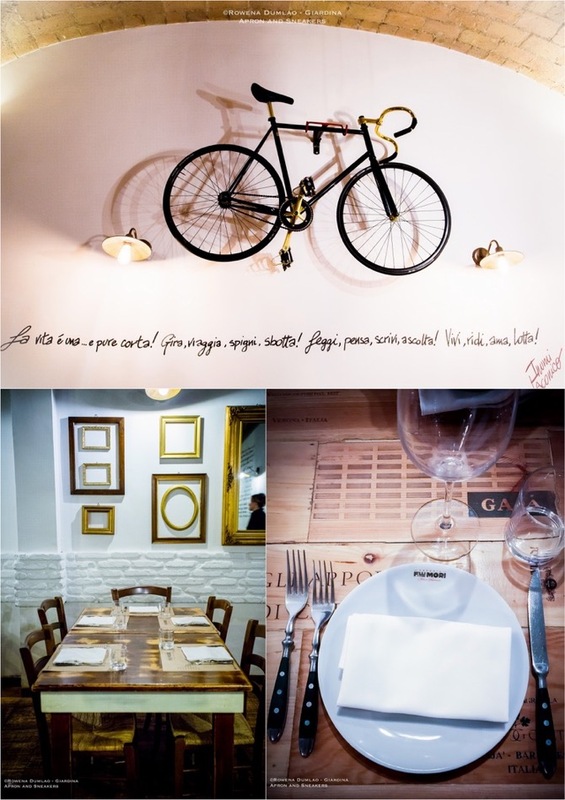 But then Giuliana is known for her homemade cakes and pies so they are also worth giving some space for ending a great meal. 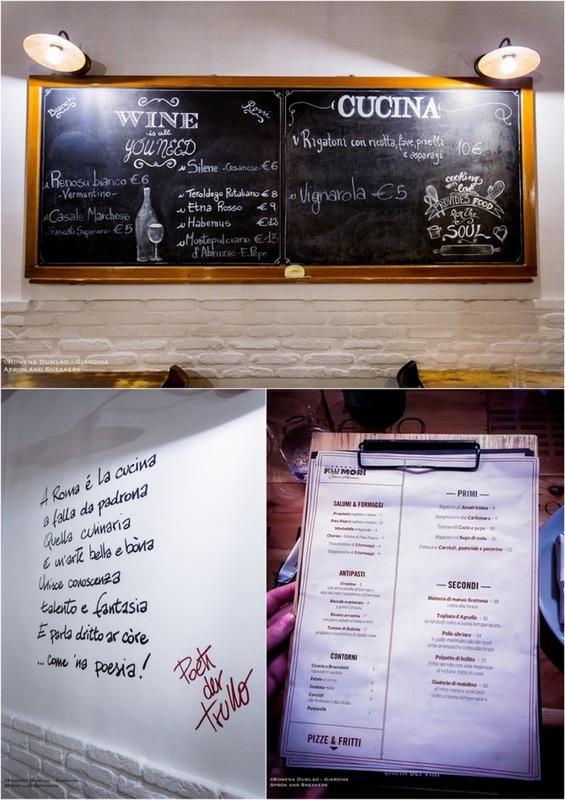 At lunchtime, the menu is designed for quick meals especially for those working in the neighboring offices which offers a selection of three first courses: a traditional recipe, a bowl of soup and a dish of pasta. 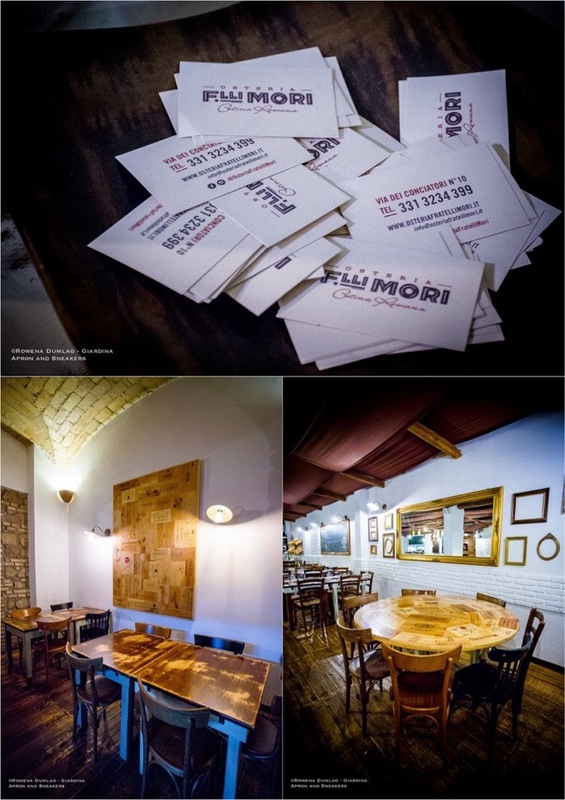 The menu is accompanied by an excellent wine list because wines are another great passion of the Mori brothers who are also accomplished sommeliers.